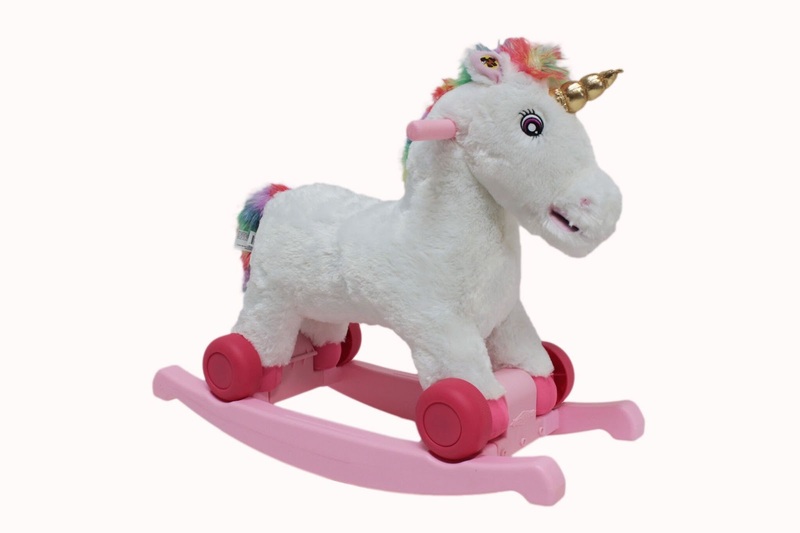 Walmart has the Rockin` Rider Celeste 2-in-1 Unicorn on sale for $25.37 (regularly $39.93). Rockin' Rider Celeste 2-in-1 Unicorn easily converts from a rocking unicorn to a rolling unicorn without any tools. She sings the exclusive "I'm a Magical Unicorn" song when her left ear is squeezed and fun talking phrases with sound effects when her right ear is squeezed. Your child will be amazed by Celeste's synchronized moving mouth when she sings and talks.